We're not just being twee; there really are a tonne of good reasons to create your own herb garden. Not only do dried herbs found in the supermarket come at a premium, but you just can't beat that freshly-picked flavour you get from home grown herbs and vegetables. If you're on a budget, expensive shop bought herbs are one less thing to factor in, and if you're feeling really creative, you can always make your own scents and perfumes, too. What's more, you can track all of your savings using our free money management software. Of course, the best news about herb gardens is that the gardening won't send you potty; shallow roots mean that herbs are easy to grow, so simply follow our easy steps to build your very own garden in no time. Deciding which herbs you'd like to grow is a personal thing. To start saving money, look at what you're using most of in your cooking. Love making Italian dishes? Then Basil, Oregano and Parsley are essentials. Enjoy hearty British fare? Thyme, rosemary and bay leaves add a delicious flavour to roast meats and stews. You should also consider where you want your garden to be, and how much maintenance work you're prepared to do. Some herbs grow well in dry, sunny spaces indoors, and some thrive in an outdoors. Some herbs are annual and biennial, which means they grow quickly and should be sown repeatedly throughout the warmer seasons, and some are perennial, which means they grow slower and might require a stable space outdoors. You can find a comprehensive list of popular perennial, annual and biennial herbs here to get you started. 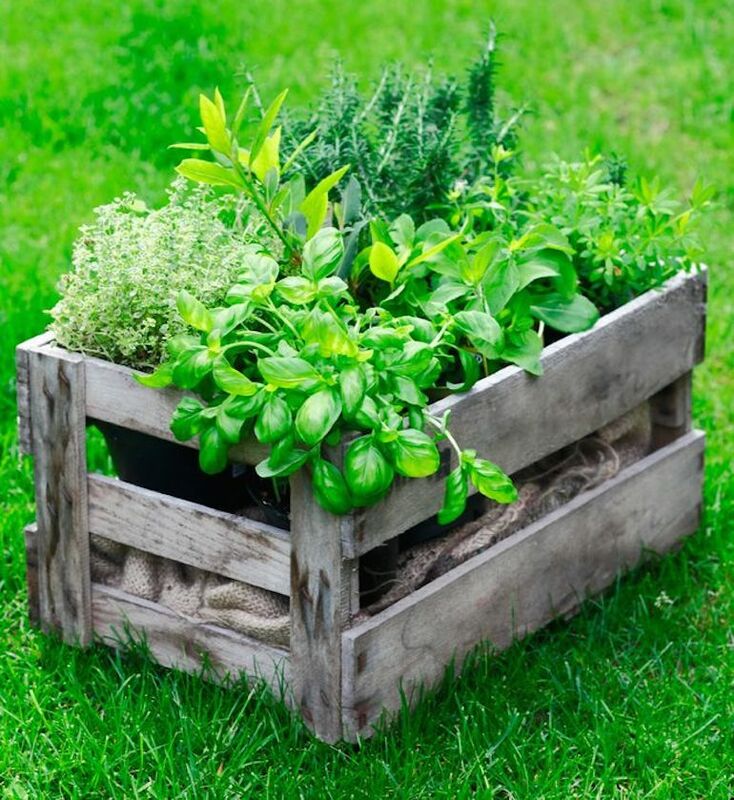 The most cost-effective way to start a herb garden is to grow your herbs from scratch. Once you've picked your favourite, pick up a few packs of seeds and you can get started. You don't necessarily need to spend extra money on pots: recycled bottles, ceramic jars, bags of soil and tins can all be turned into temporary spaces for seeds to grow  simply make sure there are holes in the bottom to drain water so your herbs don't get waterlogged. Pick a space, outdoors or indoors, which is exposed to bright sunlight throughout the day (a sunny patio or window sill on a south facing window provide perfect condition for most Mediterranean herbs) and you're ready to go. Sow more seeds than you need  but not the whole pack  in neutral or alkaline soil, and water regularly. If you've planted your herbs in a well-exposed spot with plenty of sunlight and decent soil, they should be in a great position to thrive. All you need to do now  if your plants are potted - is keep them nourished with water and regular supplies of fertiliser, and consider transferring to a prime spot in your garden if they're currently growing indoors. (Beware: some herbs, like mint, spread like wildfire, so it's best to keep them potted!) Make sure you occasionally dead-head and trim your herbs to encourage growth, and remove dead foliage and debris to prevent diseases affecting your crop. All that's left to do now is pick, chop, sprinkle, and enjoy!